Paterangi School visited the Museum and spent time with Mr T learning about legendary explorers. They have now created an exhibition of the same name, tracing past, present and future explorers. Come and check out their awesome work! 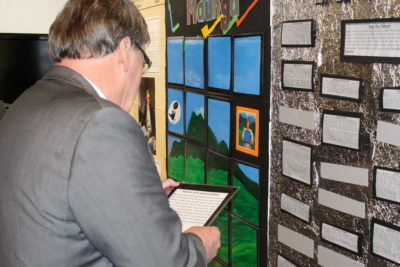 Waipa Mayor Jim Mylchreest reading the exhibition at the opening function.